Considering retiring in 2 years, but want to "Lock In" today's home costs? Consider this beautiful home with a guaranteed 2 year generous builder leaseback. 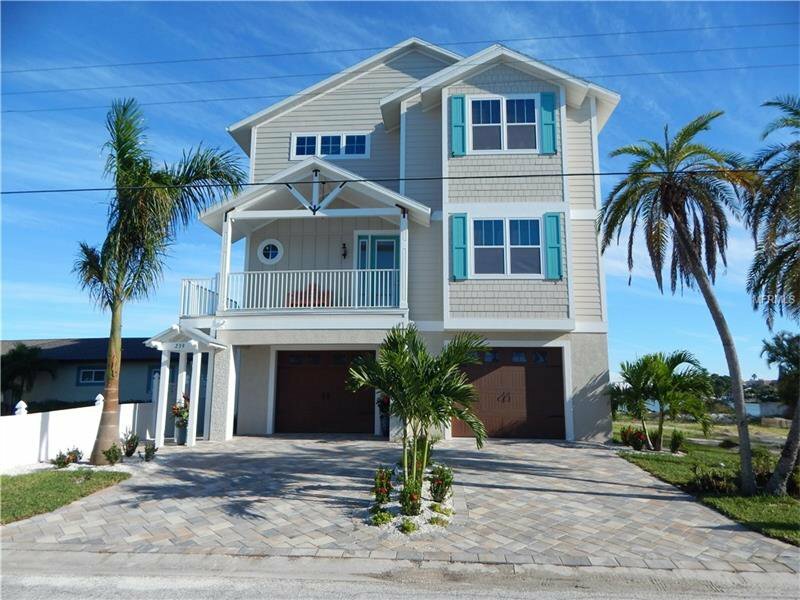 Brand New Construction on this beautiful Key West style, FEMA compliant, three story energy efficient waterfront home. This new home has a large open floor plan with 9' 4"ceilings on all floors, 3 stop elevator along with designer touches make this home highly practical and functional. The gourmet kitchen has stainless steel appliances, large island with granite countertops and walk in pantry. Four bedrooms and four full bathrooms allow plenty of space for a large family, guests or entertaining. Two bedrooms on the third floor have large en suite bathrooms with walk in closets and large decks overlooking the intercoastal. Large first floor space allows 4 car garage and bonus storage with elevator entry for easy transfer of groceries. Custom built pool and patio area create a relaxing waterfront spot to unwind. Brand new seawall and dock. Come see this home. Listing courtesy of GHD Realty of Pinellas Inc. Selling Office: KELLER WILLIAMS REALTY.